Mrs. Grandgenett's students click here. Miss Anderson's students click here. Mrs. McClannahan's students click here. Miss Williams's students click here. Mr. Montgomery's students click here. After completing the warm-up, Quiz #1 and Quiz #2, you may explore Spanish at Stowe. This week you will choose what you want to study. Then you must complete the form below to tell me your favorite and least favorite activities. You must show Señor McCright your score every time you finish a quiz. Warm-up activity: click on the words that are in the same group. Tell me what you want to learn in the last 80 days of school this year. Listen to a presentation on the face. Learn about the verbs to have. Record yourself speaking Spanish. After you record yourself, copy the link and put it into the contact form. Here is where you send me the link to your recording. January 12 - 16: This week you will finish writing number sentences and record your videos (Math in Spanish). If you have already completed one video you may write 3 more number sentences and record a second video. There are crossword puzzles and word searches for you to do. 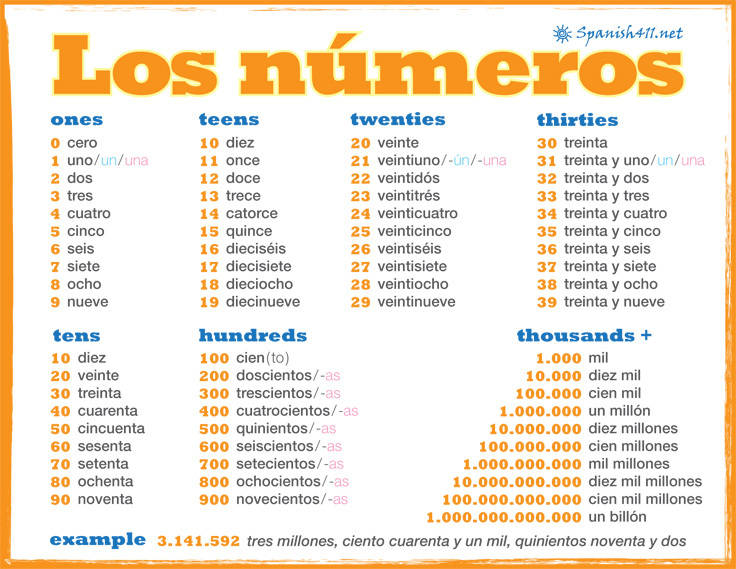 January 5 - 9: You have learned how to count to 99, and you have used your numbers to tell time in Spanish. Today you will use Math in Spanish. Stand up when you are done reviewing numbers. You may read how to do Math in Spanish by clicking →here←. Señor McCright will present the mini-lesson. Now you will prepare three number sentences. On a folded sheet of paper, write each number sentence using numbers then again using words in Spanish. Choice 1: copy 3 number sentences from the lesson. Choice 2: copy 1 or 2 number sentences from the lesson and create 1 or 2 original number sentences. Choice 3: create 3-5 original number sentences. Señor McCright will record videos of you reading your number sentences in Spanish. December 15-19. Last week you learned how to tell time. First, review. Then review again. Finally we will check your understanding with Kahoot. December 8-12: This week you will learn how to tell time in Spanish. December 1 - 5: This week you will use Kahoot to review vowels then show me what you know. The first twenty questions give 0 points. Questions 21 - 40 give points. November 24-25: This week you will review the body parts and show me what you know with Kahoot. November 10 - November 14 This week you will make and record your third dialogue. Every week your dialogues get better and you read, write and speak more Spanish. You may change what is in red & italics. David: ¡Hola! Me llamo David. Patty: Mucho gusto, me llamo Patty. David: ¿De dónde eres, Patty? Where are you from Patty? Patty: Soy de San Juan, Puerto Rico. I'm from San Juan, Puerto Rico. David: ¿Qué tiempo hace en San Juan? What is the weather in San Juan? Patty: Hace calor y hay lluvia. It is hot and it is raining. I will give you other weather vocabulary. To find the current weather and temperatures in the Spanish-speaking world, click here. After you finish recording, play with flags. Click here. November 3-November 7. This week you will make and record another dialogue then learn about the weather. In your dialogue you may change the persons' names and the name of the country and ﻿continent﻿. (I am called Cristian.) My name is Cristian. Rafael: ¿Y dónde está Chile? Cristian: Chile está en Sudamérica. Chile is in South America. we will use Kahoot to test your reading in Spanish. Now review how to spell your numbers BEFORE we use Kahoot. Your Kahoot scores go to Señor McCright. After you have finished both jobs you may wander on Spanish at Stowe. With a partner you will practice reading the dialogue Señor McCright gives you. When you are ready, you will use the Revolve to make the video. You will record 4 short videos, 1 for each frame. Then Señor McCright will merge the videos on Youtube and publish them. You may use Señor McCright's drawings or make your own. Soon you will be able to read books aloud. If you did not complete Presentation 1 and Presentation 2, please do them before going on. 1. Watch (listen and repeat) Presentation #3. 6. After you finish working on the words with a and o, watch Presentation #4. ﻿1. Watch (listen and repeat) Presentation #1. This week, September 22, I will test your reading in Spanish. ﻿This week, September 15, you will "do" IB and spell in Spanish. Learn how to use that new vocabulary.